The majority of people who rent or lease an apartment, house, or some other kind of temporary residence is usually required to sign a lease and pay a deposit before moving into their new place. 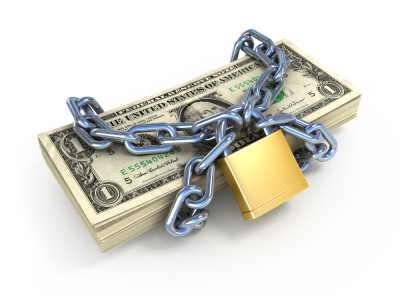 This deposit is commonly referred to as a security deposit, which is a sum of money held in the owners trust account. Many times tenants have questions regarding their security deposit and its purpose. (1) The tenant’s possible nonpayment of rent and costs for water or sewer services provided pursuant to G.S. 62-110(g) and electric service pursuant to G.S. 62-110(h). (3) Damages as the result of the non-fulfillment of the rental period, except where the tenant terminated the rental agreement under G.S. 42-45, G.S. 42-45.1, or because the tenant was forced to leave the property because of the landlord’s violation of Article 2A of Chapter 42 of the General Statutes or was constructively evicted by the landlord’s violation of G.S. 42-42(a). (4) Any unpaid bills that become a lien against the demised property due to the tenant’s occupancy. (6) The costs of removal and storage of the tenant’s property after a summary ejectment proceeding. However, many times disputes arise concerning the withholding of the security deposit after the tenant moves out of the residence. Upon termination of the tenancy it is the landlord’s obligation to either return the security deposit, or provide an interim accounting for the held funds. This shall be done no later than 30 days after the termination of the tenancy and delivery of possession of the premises to the landlord. If you feel that your landlord has withheld your security deposit unjustly, or has used your security deposit in a way that is not allowed by law, then please call our office at 910-793-9000 and set up a confidential consultation with our experienced staff.